Elaine Ann and Julien Cayla are organizing a meetup on anthrodesigners in Kong Kong on May 22nd at 8pm at Hyde. Anyone interested in user experience, design, anthropology, business and the cross-pollination between these different fields is welcome to join us. 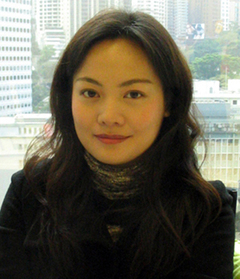 Elaine Ann is the founder of Kaizor Innovation, a strategic innovation consulting company uniquely positioned to help develop appropriate innovation strategies, research and designs for the emerging China market. Born and raised in Hong Kong and having lived in the U.S. for 12 years, her bi-cultural and bilingual background help clients obtain unique insights and bridge behavioral, cultural, social and political differences between markets. She is well versed and can write in both Chinese (PuTongHua & Cantonese) and English. Elaine brings to Asia processes of new product innovation and user-centered design methodologies. Prior to moving back to Hong Kong, she lived in the United States from 1990-2002. While in the U.S., she worked as a director in the Fitch Interaction group in San Francisco and also at Razorfish and Henry Dreyfuss Associates in New York. Her past clients include Hewlett-Packard, Philips, Kodak, Charles Schwab, Federal Reserve, Intuit, SRI (Stanford Research Institute), Nissan, Fujitsu, PCCW (Pacific Century Cyber Works), Lan Kwai Fong, iMerchants etc. Elaine graduated from Carnegie Mellon University in Pittsburgh, where she earned her Master’s degree in Interaction Design and her undergraduate degree in Visual Communications and Business Management (minor). Julien Cayla is Assistant Professor of Marketing at Nanyang Business School, Singapore, Visiting Professor at Euromed Management, Marseille, and a Research Fellow at the Institute for Asian Consumer Insight in Singapore. 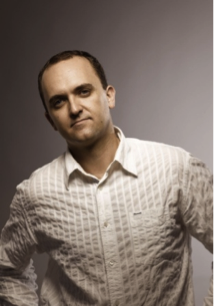 Professor Cayla received his PhD from the University of Colorado (Boulder, United States) where he majored in marketing and minored in cultural anthropology. His dissertation on the Indian advertising world received several national awards, including the MSI Alden Clayton Award and the Sheth Award. In his research, he tries to integrate anthropological theories and methodologies to the study of marketing in the global marketplace. His work has been published in outlets such as the Journal of Consumer Research, the Journal of Marketing, the Journal of International Marketing and the International Marketing Review. His edited book titled Inside Marketing was recently published by Oxford University Press. His work on ethnography in the corporate world is forthcoming at the Journal of Marketing.